anySCALE marked its 5-year anniversary by putting together a weeklong exhibition that was kicked off by a party on 27th October attended by clients, long-term partners, suppliers, friends and family members. 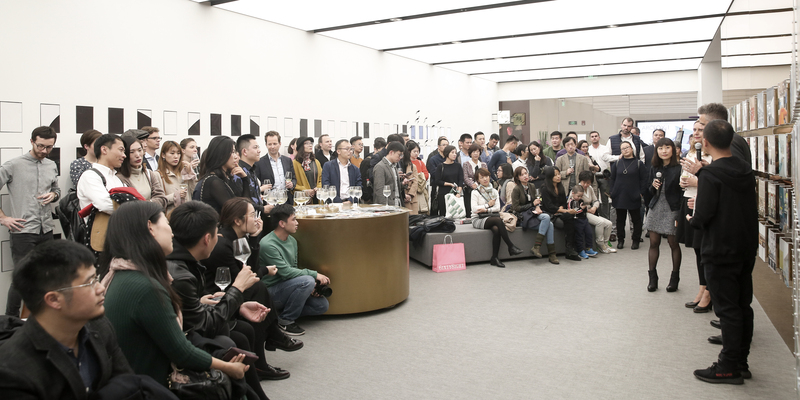 Polyphony, one of the firm’s most influential projects, was the venue for the opening party and is also serving as the location of the ‘5 years in Numbers’ exhibition which showcases anySCALE’s design journey. The partners Andreas Thomczyk, Karin Hepp and Tom Chan delivered a speech sharing their personal stories of establishing anySCALE in a series of 35 points touching upon the successes, surprises, failures and insights that form the collective narrative of the company. A party with a full house and excellent music by the DJ. Presented on Polyphony’s display wall that on a regular day showcases vinyl and comic book collectors’ items. 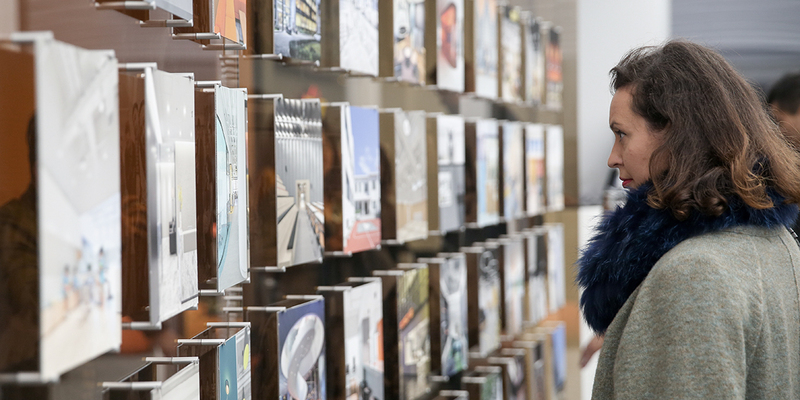 The exhibition was mounted on Polyphony’s iconic floor-to-ceiling orange-tinted glass on 64 aluminum panels, the same size as the vinyl records usually displayed on the wall. Pictures of the landmark design projects from the past five years were shown on one side illustrating the beauty, achievement and essence of the finished creations. On the back, simple black and white behind-the-scenes photos depicted the process and its fruits in form of office shots, site photos, media publications, etc.- a testament to the emotions and creative labor of passionate men and women committed to design. The exhibition and its format gathered a lot of positive feedback from the attendees who felt inspired and touched by the dual perspective. The evening continued with an afterparty held on the second floor of Mercedes Me, another anySCALE project, at the Lighthaus bar. Accompanied by good food, wine and music, the festivities concluded a high note with lots of joy, laughter and nice conversation.